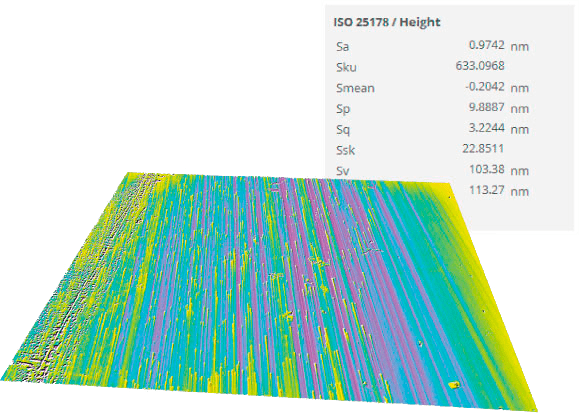 The S neox Five Axis 3D Optical profiler combines a high-accuracy rotational module with the advanced inspection and analysis capabilities of the S neox 3D Optical profiler. This enables automatic 3D surface measurements at defined positions which can be combined to create a complete 3D volumetric measurement. 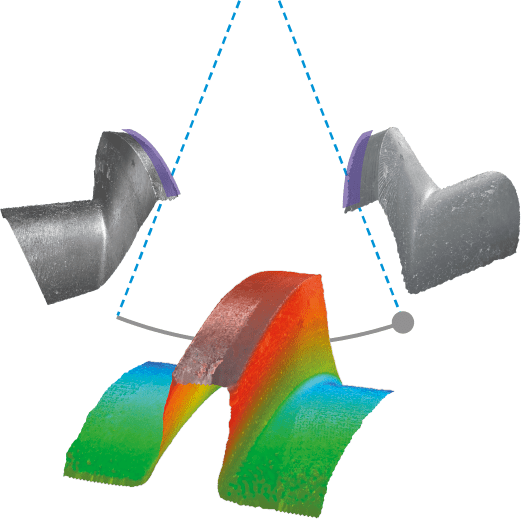 S neox 3D measurement technologies cover a wide range of scales, including form (Focus Variation), sub nanometric roughness (Interferometry) or critical dimensions that require high lateral resolution as well as vertical resolution (Confocal). The Five Axis system makes it possible to take automatic 3D surface measurements at defined positions, and combine them to create a complete 3D volumetric measurement or to inspect the surface finish at specific positions around the sample. S neox Five Axis is able to measure the sample at different positions of rotation and elevation (perspectives) generating a group of individual measurements. 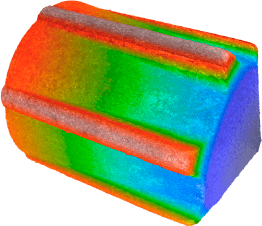 The SensoFIVEsoftware merges all of the surfaces providing a sample surface with high accuracy by using the stacked image information of each single surface measurement. Merging different elevations, the system can provide shape and form information on sharp edges and/or critical surfaces.  Measuring complex surfaces which contain steep angles is very difficult due to shadowing effects that prevent you from obtaining a complete measurement within a single acquisition. It is necessary to tilt the sample in order to measure it from two different positions and combine the two topography results to obtain the complete measurement. Five Axis rotational stage allows the sample to be positioned in opposite directions to make the entire surface visible. The system will acquire the individual measurements and then, it will merge them automatically to get the complete 3D volumetric measurement. Measuring different parts of the sample with one click is possible thanks to automation routines. A user-friendly interface allows you to find the measurement position without any constraints. Then focus on the critical parts of your sample and add them to the automation routine. Finally click Acquire to obtain all parts measured with one single click. This is an incredibly fast and easy way to automate the measurement routines. Our Confocal and Interferometry technologies allow you to measure surfaces with any kind of roughness from extremely rough (typical of additive manufacturing applications) to highly reflective surfaces of the order of 1 A as a diamond mirror-like surface. Converting our system into repetitive and traceable, according to NPL, NIST and PTB roughness standards. Focus Variation technology provides an easy and quick response for measuring outstanding slopes independently of the objective lenses.